Yeah. Evermore is one of those stories. I actually read a few other reviews for this book, and the ones that said it was not as good as the first, I wondered at. And then I read it, and WOW! I do not get those reviews! 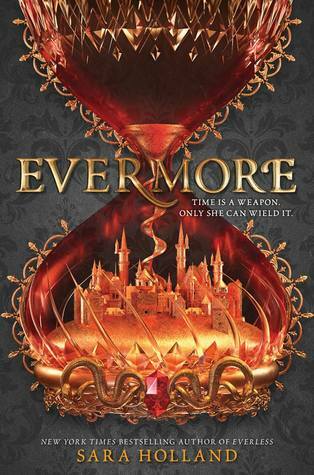 Because I thought Evermore was every bit as good as Everless… maybe even better. It pulled me in, and every time I had to put the book down, it was all I could do not to snap at whomever was the reason for it that time. It was AMAZING! The ending was not at all predictable. The story was so intriguing, I found myself racing ahead, just to find out what was going to happen. I actually had to make myself go back and read what I had rushed through several times because I was so excited, I missed things.